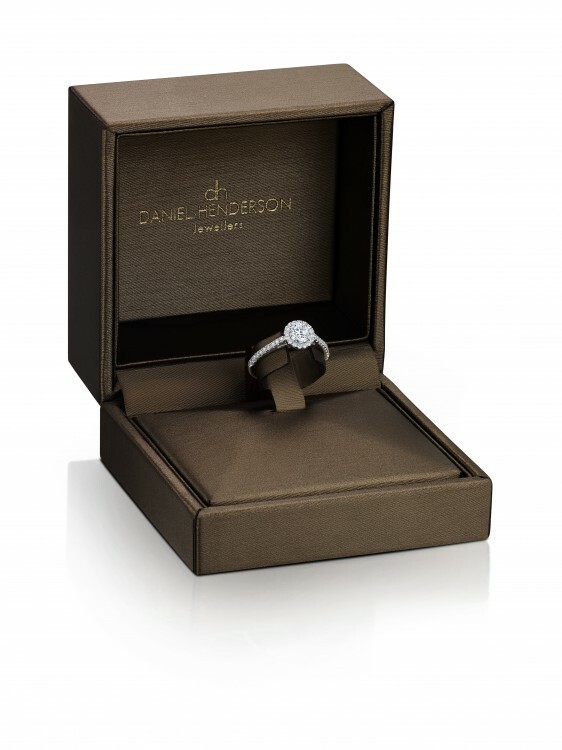 Stunning Platinum diamond solitaire engagement ring set with a 0.90ct centre brilliant-cut diamond and 0.10ct diamonds set into each side of the bezel. 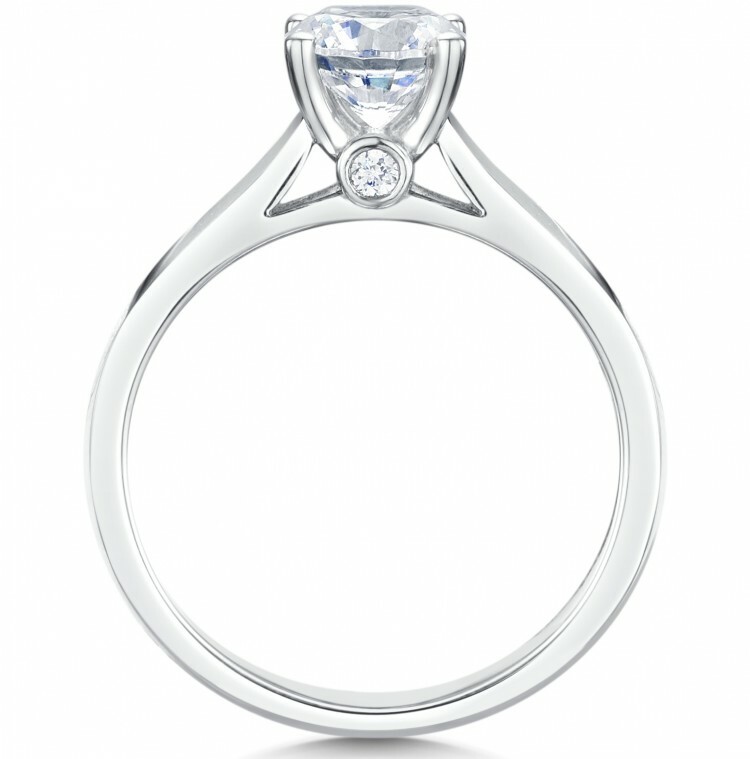 Diamond is held in a classic four-claw setting. 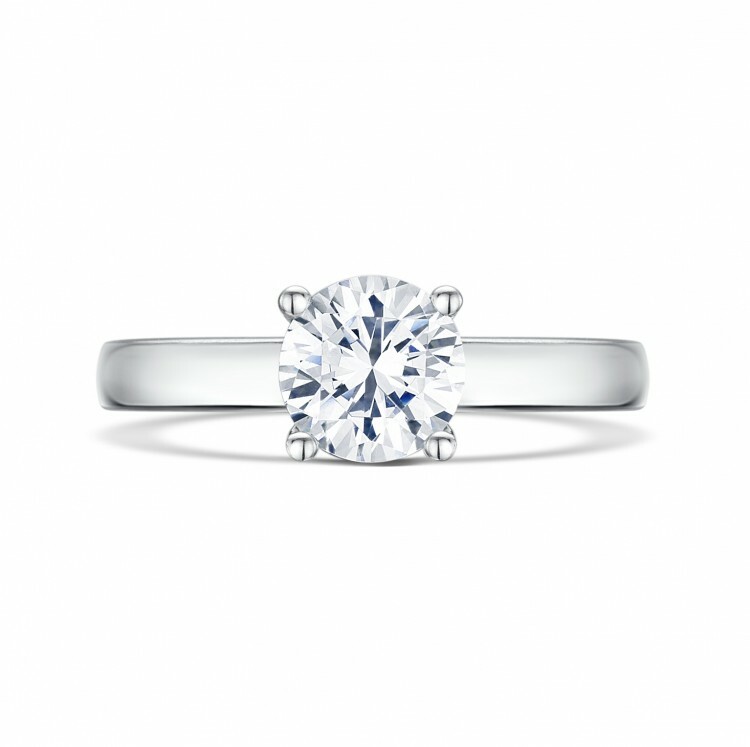 Total carat weight of 1.00pt. Diamonds graded as G Si quality.